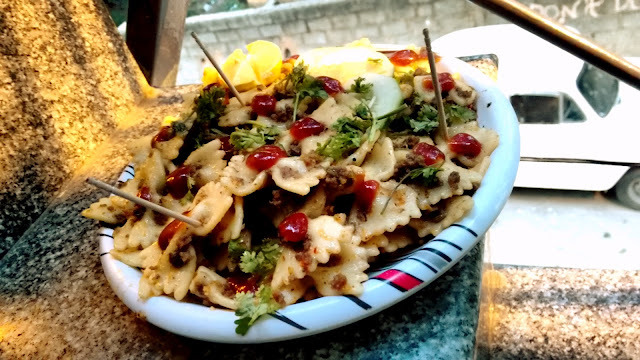 Frankly speaking, I am not a fan of pasta. No matter how good it is cooked, it fails to impress me. However, imagine my joy when I developed a sudden liking towards it, thanks to Del Monte. 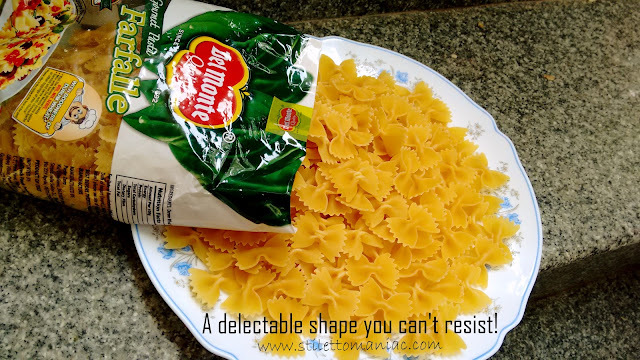 You might have heard the proverb "look good: taste good", well that's what inspired me to bring home the Delicious and cute looking bow-shaped pasta by Del monte. 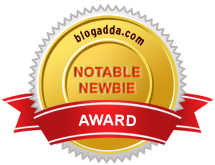 The moment my eyes fell on these pastas on the Indiblogger website, I booked one for myself asap. 1* First take a heavy bottom kadhai and boil 1 1/2 liters of water. 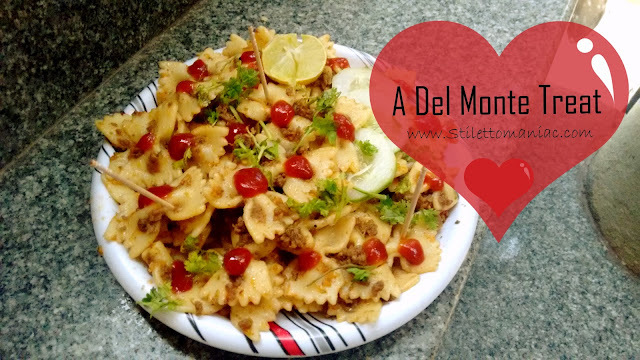 Add the cute bow shaped Del Monte pastas to the boiling kadhai and let cook until soft yet firm. 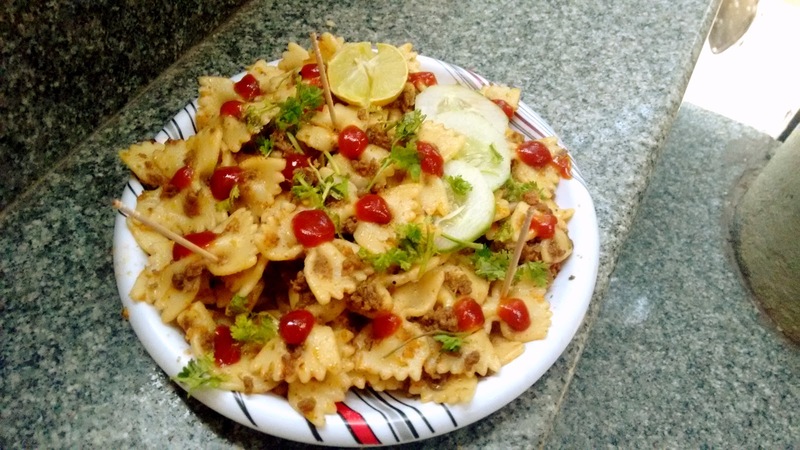 2* At the same time take Mutton Keema, wash and cook it in a cooker by adding some salt, a pinch of turmeric powder garlic heads,spices, saunf, and Red chillies. Cook until edible. 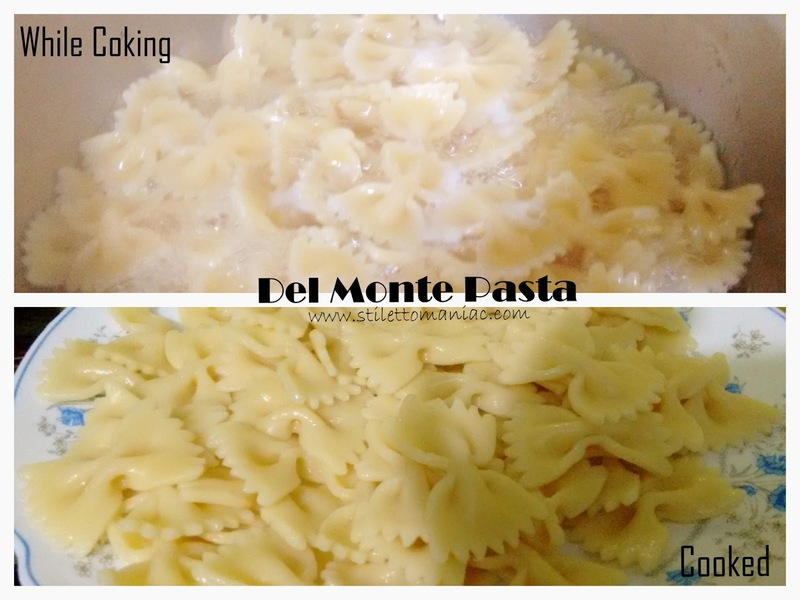 3* When pasta is cooked, drain the excess water and keep the pasta aside. 4* Now take another kadhai and add oil to it. When hot, add mustard seeds, and the finely chopped onion. Next add ginger garlic paste and fry until golden. Add salt as per taste. Next add the Maida flour to it. 5* Add the cooked pasta to this. 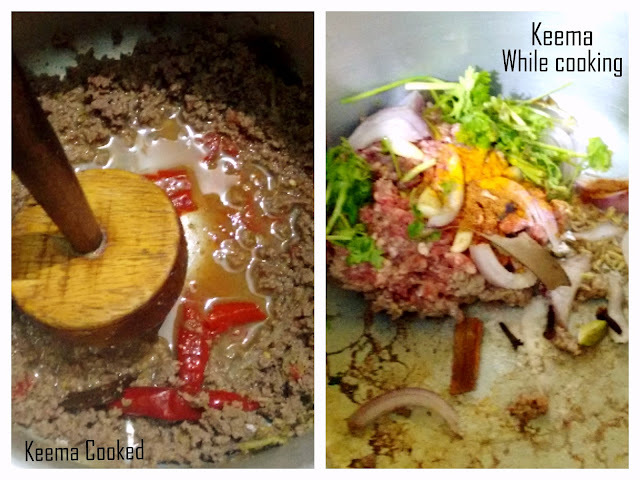 Take the cooked keema and mash it until all the ingredients have mixed. Add it to the kadhai and mix well. It's such a simple yet such a delicious recipe :D It was so fun experimenting and making my own recipe. *While the Pasta is cooking, keep stirring it to avoid them from sticking to the bottom. *You can add vegetables to this too. Dice them and add cook with the pasta itself. *If you can't serve immediately, make sure you heat the dish in the oven/stove before serving. *If you want a little more gravy in the dish, add more ginger garlic paste then mentioned. Looks lovely and would be tasting delicious! !